Do you want a swimming pool in your home? At KB Pools, our swimming pool construction service will bring a touch luxury, relaxation and fun into your home. KB Pools are professional pool installers and have swimming pool designs that will refresh your property with a diverse range of swimming pool features. 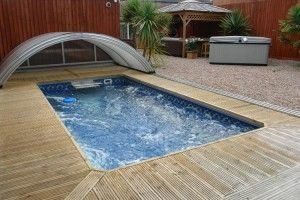 For 25 years, we have been providing bespoke swimming pool constructions to homes in Bournemouth and the surrounding areas. We consider designs that will enhance the aesthetic appeal of your home in every single aspect of our construction. From wooden, indoor and technologically enhanced swimming pools, KB Pools boasts a multitude of swimming pool designs available from our stock and showrooms. Our wooden pools are a favourite amongst our customers for bringing beauty and functionality together in a traditional blend. There are many swimming pool construction methods we apply to our wooden swimming pools. Whether you want reinforced borders or semi in-ground, our wooden pools are a concept that will be unique to your property. Dovetail joints, corner finishes and red pinewood borders are just some of the finishing touches we bring to your wooden swimming pool construction. At KB Pools, we find construction innovations that will revolutionise your swimming pool experience. When you want to utilise space in your home, at just the touch of a button your floor will be transformed into a spacious swimming pool construction. We install these movable pool floors with versatility in mind. The multiple programming of our constructed swimming pool movable floors will maximise the usability of your pool and hall space. See why you should invest in an outdoor or indoor swimming pool construction with KB Pools. Using the most innovative technological designs in the industry, KB Pools will construct an endless pool in your home. What are endless swimming pools? These swimming pool construction methods are designed to generate a flow of water in your pool. These endless pools are the perfect way to bring an exercise regime into your home or business. Read through how we will proceed in your endless pool swimming pool construction. When you want us to construct your swimming pool, you can rely on our service to be of the highest standards. We have full qualifications and accreditations by the leading bodies in swimming pool construction. Our pool engineers are insured by Swimming Pool and Allied Trade Association (SPATA) and the company is registered to CORGI standards. Do you want a reliable swimming pool construction? KB Pool is a professional and premium swimming pool, spa and sauna supplier and installer. 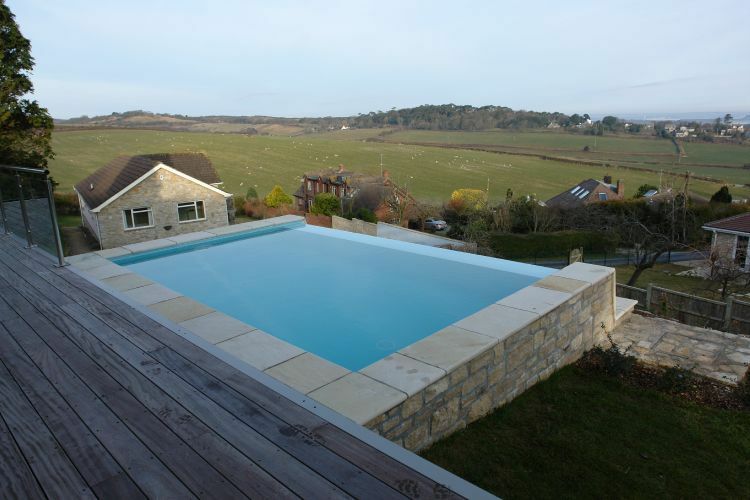 Contact KB Pools on 01202 518067 or email sales@kbpools.co.uk and choose your swimming pool design today.